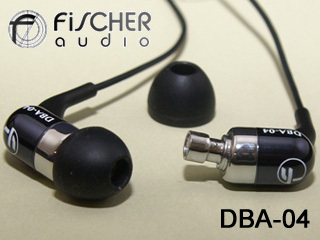 It almost felt like just yesterday that Fischer Audio launched the DBA-02 and took the world by surprise for how good it is. Now it seems there is another dual driver coming from the company as well, called the DBA-04. It looks a bit more plain than DBA02, but what worry me is the low impedance of only 12 ohm, which could make it hiss prone. The sensitivity is a little low as well at 99dB, but shouldn't be too much of a problem for most DAP these days. There is another model been announced together called the Ceramique, which seems to have the same type of housing as the MEElectronics CC51.